A 16-year-old teen suffering from terminal bone cancer, and whose dying wish is to end abortion in the state of Texas, has chosen to forgive the social media trolls who have been attacking him for his pro-life stance. The Daily Signal is reporting on the magnificent display of Christian charity exhibited by Jeremiah Thomas, a Texas teen who was diagnosed with an osteoblastic osteosarcoma, an extremely aggressive form of bone cancer. and is now in hospice care. Thomas, a former all-star, state champion football player from Waco, made headlines a few months ago when he made a “legacy wish” through the Make-A-Wish Foundation to see abortion banned in the state of Texas. His request for a meeting with the state’s governor, Greg Abbott, resulted in having his request made part of the Republican party platform. Being the son of Rusty Thomas, National Director for the pro-life organization, Operation Rescue, Jeremiah grew up fighting for the rights of the unborn and wasn’t about to leave this world without doing as much as possible to save their innocent lives. But that didn’t win him too many friends in cyberspace. Not long after news broke about his legacy wish, he began to receive hateful attacks on social media. “Jeremiah … You aren’t dead yet? God do your job!” another said. Jeremiah spent a few days deleting the vile comments and Kendra noticed that Jhe didn’t talk about it, nor did he post anything new. She wondered if the cyberbullies had been to much for him. “Jeremiah’s response to those who hate him is to bless them. To pray for them,” she said. How can a 16-year-old terminal cancer patient forgive those who wish him dead? Kendra asks. “Jesus. 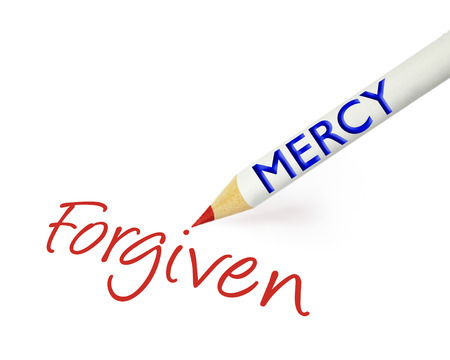 Jeremiah can forgive others because he’s been forgiven. He knows he wasn’t the first to be bullied. Jesus was falsely accused. Beaten. Mocked. Spat on. People didn’t just wish Jesus dead. They crucified him. They buried him in a tomb. But Jesus didn’t stay dead. He rose again on the third day and forgave his bullies. As Jesus said, “If the world hates you, remember that it hated me first” (John 15:18). For Jeremiah, being hated for the right reasons isn’t all that bad. Let us keep this brave young warrior for Christ, and his family, in our prayers! A GoFundMe page has been set up to help the family with medical expenses.